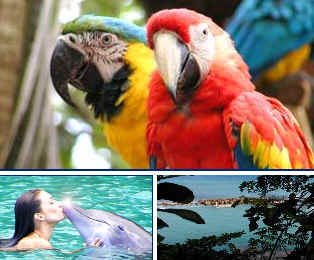 Dolphin Cove, Ocho Rios Jamaica "Swim with the Dolphins"
Programs vary in rates. Please contact us for details or reservations. Dolphin Cove can book out in the popular winter months so reserve with us in advance to avoid disappointment. Swim with Dolphins! 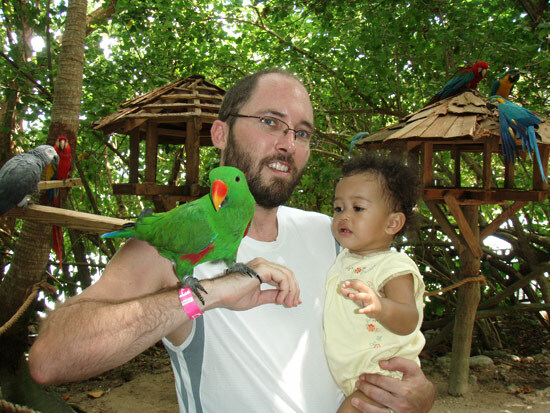 Adjacent to the world-famous Dunn's River Falls in Ocho Rios, the opportunity awaits you to meet, and swim with a family of Bottlenose dolphins at their home, Dolphin Cove. Dolphin Cove is one of Jamaica's finest attractions, winning the Jamaica Tourist Board Allied Members award for "The Most Distinguished Service", as well as the Association of Jamaca Attractions award for "Best Attraction". At Dolphin Cove guests may swim, play, touch or perhaps get a foot push or a dorsal pull around the natural cove by our amazing dolphins. 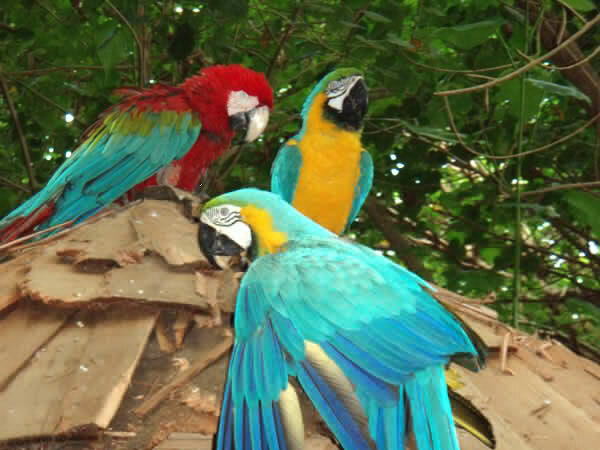 Enjoy Jamaican hospitality while listening to the rhythm of the steel band and join in the dancing.View other exciting animals and reptiles on the Jungle Trail or simply relax on our white sand beach. 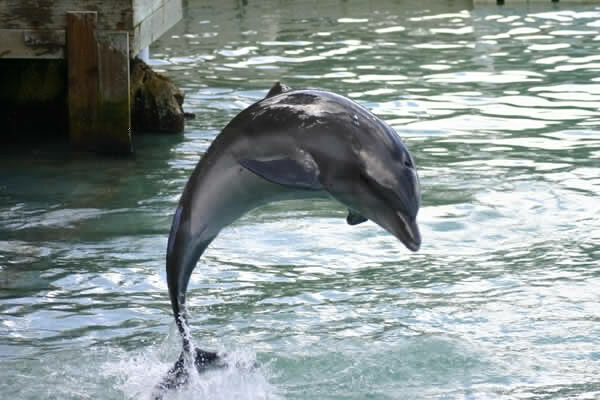 Dolphin Cove offers 3 exciting dolphin programs or visit their breathtaking property to see the dolphins at play, and walk their Jungle Trail. 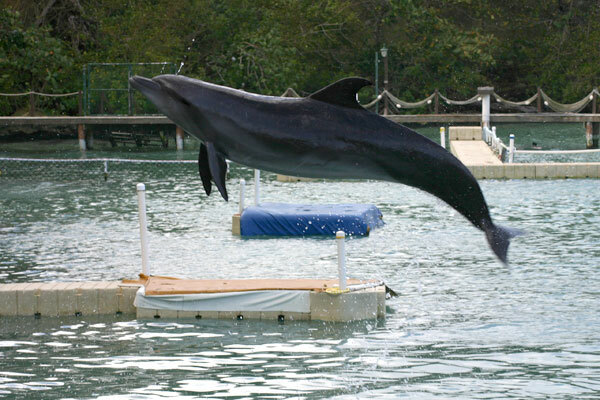 There's lots to do and see, making Dolphin Cove one of Jamaica's leading attractions. For more details contact Latoya at 876-544-9497. This package brings you in close contact with the dolphins where you experience a one-to-one encounter as you swim and frolic with a group of our friendly dolphins. The main difference between this and the Swim Encounter is the opportunity to get a foot push OR a dorsal pull! This is a great intermediate package where you swim in the deep for half an hour with one dolphin after an introduction and briefing from our resident expert trainers. Landlubbers and children will be thrilled to learn all about the dolphins and have an opportunity to touch and enjoy their company.